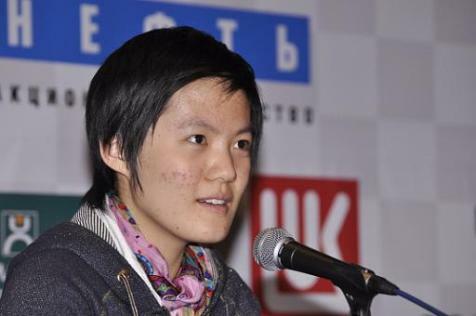 Hou Yifan, 15-years old Chinese, became famous long before the Women’s World Chess Championship in Nalchik in 2008. Being the youngest participant, she managed to go all the way till the finals where she lost to Alexandra Kostenyuk. And in the 1st game of the 1st round of the 2009 World Cup she stood up against the experienced German GM Arkady Naiditsch. Q: You had a chance to become the World Champion. Did you take the defeat in the final match hard? Yifan Hou: No, because Alexandra is a very strong opponent. Besides, at that time she was in very good shape and played better than me. Q: Upon return to China after the World Championship, were you criticized for not being first or maybe praised for finishing on high second place? Yifan Hou: Yifan Hou: Obviously they want me to win only. On the other hand everyone realized that nothing bad happened. One very strong chess player won against another chess player. Things happen. Q: There are rumours in the air that Chinese chess players get an enormous support from the Government. 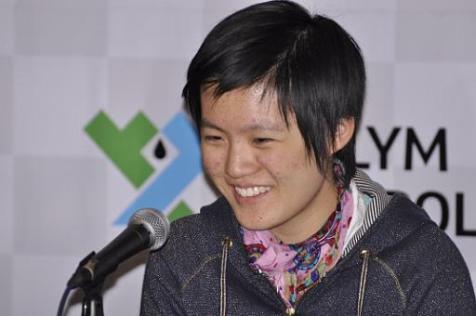 Yifan Hou: Yifan Hou: I can say that chess is popular enough in China and the popularity grows every day. Q: Did you come here with your coach? Yifan Hou: Yifan Hou: As you know I am not the only Chinese player at this tournament. We have one trainer who helps all Chinese players. The players who end knocked out also help those who are still in. Q: It is amazing how good you speak English now. Yifan Hou: Yifan Hou: Yes, everyone around were telling me that I should speak English, that it is very important for a professional sportsmen. So, I had to work on it more intensively. Q: Russian is not less important to speak for a professional chess player, don’t you think? Yifan Hou: Yifan Hou: Sure, the only problem is to find time to learn this beautiful language. Q: Do you have a favorite chess player? Yifan Hou: Yifan Hou: I had. Bobby Fisher. Unfortunately he is not with us anymore. Q: And among participants of the Cup? Yifan Hou: Yifan Hou: Difficult question. Maybe Sergey Karjakin?